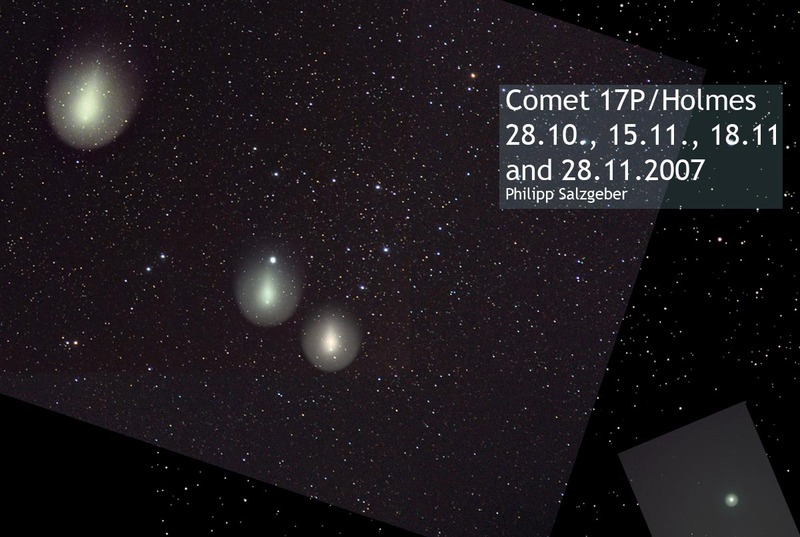 The weather has been pretty dismal the last days, but yesterday I got another chance to take an image of comet Holmes. 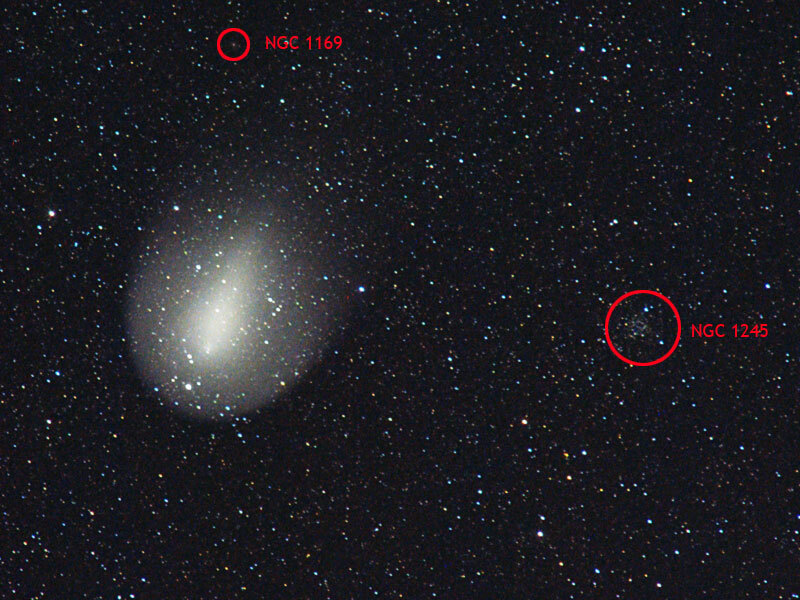 The open cluster to the right is NGC 1245, the galaxy NGC 1169 is also visible to the upper left of the comet. Stacking, dark subtraction in IRIS, Histogram adjustment, sharpening, reduction of star size in Photoshop. 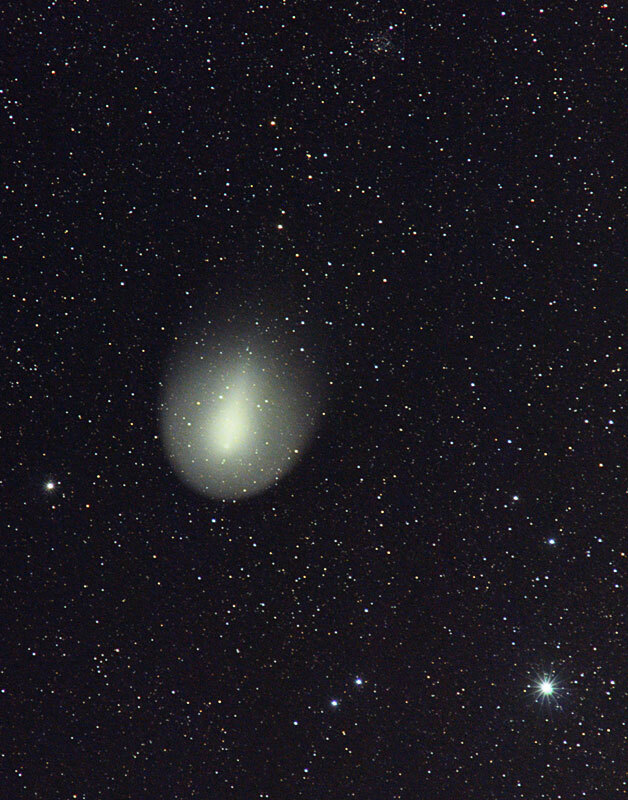 After some days of rain and snow, I was again able to take some pictures of Comet Holmes, which is still growing in size, but becoming a little fainter every day. 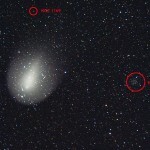 This entry was posted in 17/P Holmes, comets.